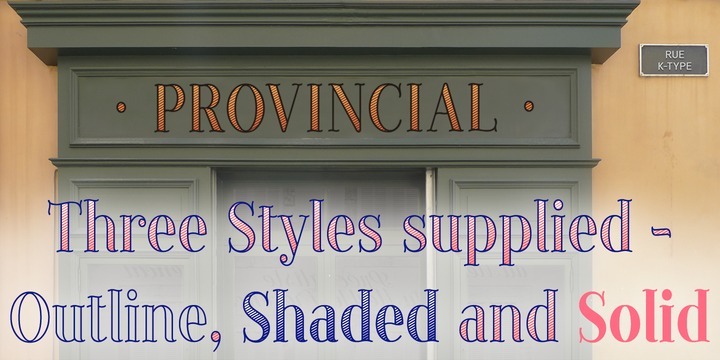 Provincial is an handwritten typeface published by K-Type that comes in three supplied styles (Outline, Shaded and Solid). This font is an elegan, relaxed typeface that is perfect for formal uses. It was designed to be suitable to headline, magazine, newspaper, packaging, display etc. A font description published on Wednesday, April 30th, 2014 in Fonts, K-Type by Alexandra that has 3,229 views.